Living/Rubbish and recycling/Recycling/What happens to my recycling? All of Tauranga’s recycling is taken to a Materials Recovery Facility (MRF) at Te Maunga to be further sorted and baled for transporting to processing facilities in New Zealand and overseas. back down for making new bottles and jars. 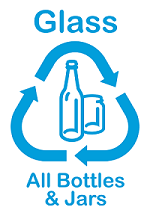 There is currently a 63% recycled content in new glass. where it is turned into pulp and made into new paper-based products. 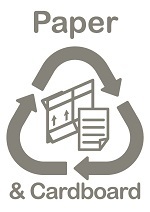 Generally, paper can be recycled eleven times before the fibres become too short and virgin product needs to be added. 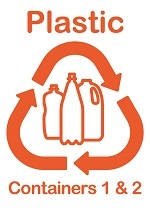 Plastics (1 & 2) are either processed locally or exported to countries in Asia (mainly China). materials, children’s toys, and clothing (polar fleece). Aluminium and steel cans are sent to Sims Metals in Auckland. The tin is reformed into light gauge tin sheets for use in the manufacture of corrugated iron. ingots for all types of manufacturing – from drink cans to building materials. 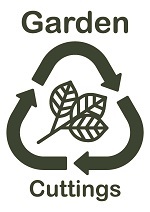 Tauranga’s garden waste is either chipped, mulched or composted on site at Te Maunga by local company Revital Ltd. These products are then used on gardens, farms and orchards in the Bay of Plenty and beyond. Recyclable items collected through Tauranga’s transfer stations such as cars (bodies, batteries and tyres), clothing and textiles, white ware (such as washing machines, fridges, dishwashers, dryers, etc. ), computer hard-drives, fire extinguishers, gas bottles, ovens, microwaves, metals, paint, concrete, TVs and mobile phones are either sold for reuse and/or repair or dismantled so the parts can be recycled. Car tyres can be shredded and used in construction, landscaping, synthetics, and as a raw material for adhesives. Concrete can be reused as aggregate. Why are recyclable materials sent overseas? Processing in New Zealand would be the preferred choice, but as we have a relatively small population there generally aren’t the very large volumes of materials required to make it economical to process all materials here. Highly populated countries usually have big processing facilities to manage their recycling and they buy many of New Zealand’s recyclable materials. Although the recyclables need to be transported further when sending them overseas, it is still a better environmental option than landfilling them or using new raw materials. Until New Zealand is able to reprocess recycled material onshore, recycling companies remain vulnerable to global market demand for raw materials. The MRF at Te Maunga is privately managed by Waste Management Ltd who determines which facilities the recyclable materials are sent to for processing and/or exporting.